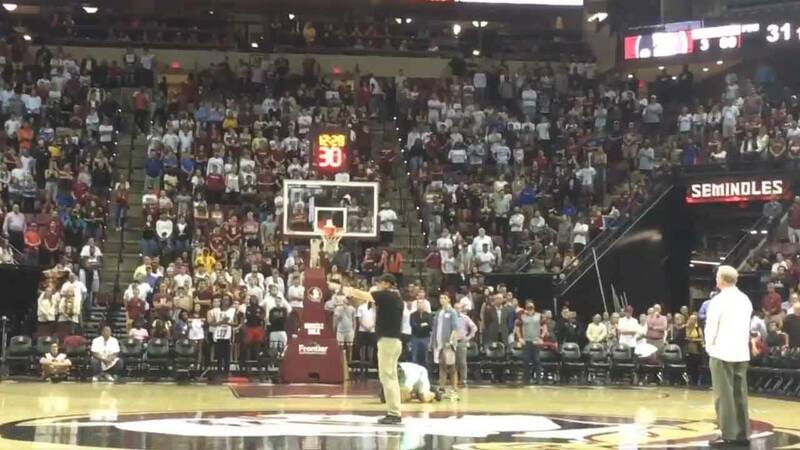 TALLAHASSEE, Fla. - The father of a Florida State University student killed in a shooting at a Tallahassee yoga studio last week received a standing ovation during Tuesday night's basketball game. FSU President John Thrasher stood at midcourt and introduced Jeff Binkley to the crowd gathered at the Donald L. Tucker Civic Center for the game between the 17th-ranked Seminoles (1-0) and rival Florida Gators (0-1). "My wife Margot and I had a daughter, Maura Binkley," Jeff Binkley told the crowd. "She was a proud fourth-generation Seminole and she loved all of you -- all of you. She should be here tonight. Her voice is here tonight." "It's Maura's voice, and the time for silence is over," Jeff Binkley continued. "Seminoles, let's hear Maura's voice." This time, the applause grew louder and the band played the school's distinctive "war chant." Police said Nancy Van Vessem (left) and Maura Binkley were killed in Friday's shooting. 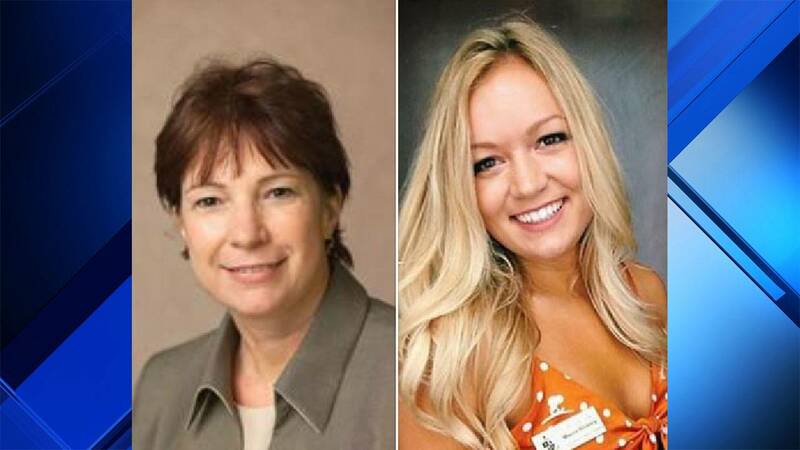 Maura Binkley, 21, and FSU faculty member Dr. Nancy Van Vessem, 61, were killed Friday when a gunman entered a yoga studio and opened fire. The shooter, identified by Tallahassee police as Scott Beierle, 40, wounded five others before killing himself. After Jeff Binkley's speech, the Seminoles went on to beat the Gators 81-60.